Health and Safety during the winter months are crucial to avoid slips and trips at work. With the unpredictable British weather, it’s best to be prepared for anything. 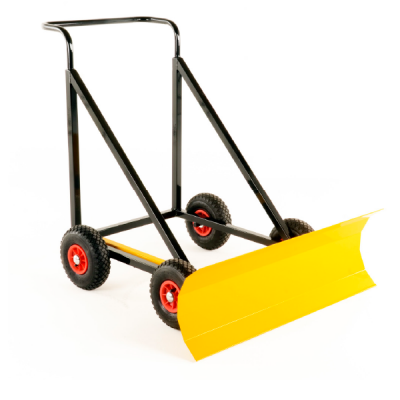 At Step and Store, our complete winter essential range includes grit bins, grit spreaders, shovels and snow ploughs help you to take action and reduce risks. There are a number of different ways to manage hazardous conditions for all environments including industrial warehouses, factories and even at home. The most common method used to de-ice floors is gritting, as it is relatively cheap, quick to apply and easy to spread. Rock salt (plain and treated) is the most commonly used ‘grit’. 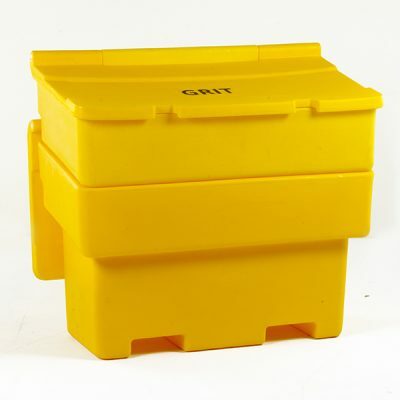 Grit bins are the perfect solution for storing grit and are space savers that can stack away when empty. Clearing the snow is essential to ensuring safe access to your premises, our snow ploughs range from pushers for light areas to heavy duty for industrial locations. 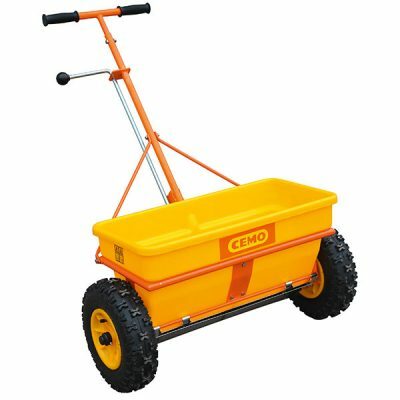 Once cleared, the grit spreaders can be used to cover large areas of car parks or footpaths surrounding the building to reduce the risk of slips or falls. Workplace accidents are considerably higher in the winter months, and for a health and safety officer, this can be a difficult time if the correct equipment has not been put in place. The HSE government recommendation is that prevention is key to managing ice, frost and snow-related incidents. Our premises range also include safety signs for marking out hazardous areas. Lighting equipment such as LED traffic lights for managing high traffic areas and Blind spot mirror with a hood to avoid those hard to see accidents. Speak with our renowned customer service team for a management solution to tricky winter conditions at work.